One room, laden with deficiencies, which gets overlooked and unloved, is often the bane of the homeowner’s existence – the basement. For many people, their basement is just a vast wasteland which houses the furnace, hot water heater, washer, dryer and laundry tub. That’s it. The rest of the basement is often a catchall, especially if you have limited garage space, or no garage at all, the basement really gets trashed up pretty quickly. Not everyone uses their basement with such a cavalier attitude, however. Sometimes the basement finally gets cleared out, as the children grow up and move out on their own, taking their belongings with them. “Wow, look at all that extra space and it is now all our own” the empty nesters declare as they lock arms and survey the basement, while they ponder how to remodel that living space. There are alot of ideas for remodeling that large space, provided there is no chance that your parents will be moving in or the kids can’t make it on their own and move back home, bringing their respective belongings with them. Often homeowners partition their basement to include rooms that pertain to a particular hobby or even a guest bedroom and accompanying bathroom. If your basement is large enough, why not create several rooms devoted to pleasurable activities? One of the newest trends for a spare room or a basement is creating a media room. Many men like their private domain, or man cave, down in the basement, tucked away from the rest of the house. You might want to include a home office, or computer room, or even an exercise room. The possibilities are endless. Whether you are starting from scratch with an unfinished basement, or simply revamping an under-used basement, here are some tips to get you started. Going from the unfinished poured concrete or masonry brick and cement floor to creating a livable area of your home is a little daunting. The first items of business in an unfinished basement would consist of choosing how the walls, floors and ceilings will look. The best choice for the floors is tiling and if you are handy, in the least, you can do the tiling job yourself. As to the walls, will you be simply painting them or putting up paneling? You will need to choose from different types of ceilings and the various mediums available to use. While reviewing ceiling options, you might as well look into the lighting situation as well. 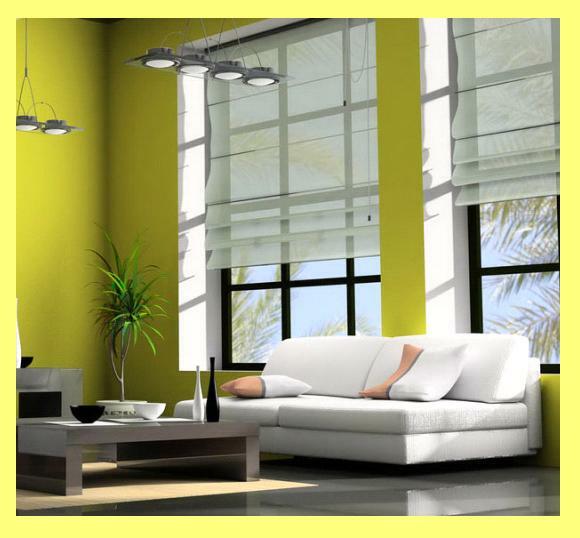 Will you going for simple fluorescent lighting fixtures or would you be striving for a more elegant look? Depending on whether you create separate rooms or not, you will need to factor more money into electrical work and electrical fixtures. 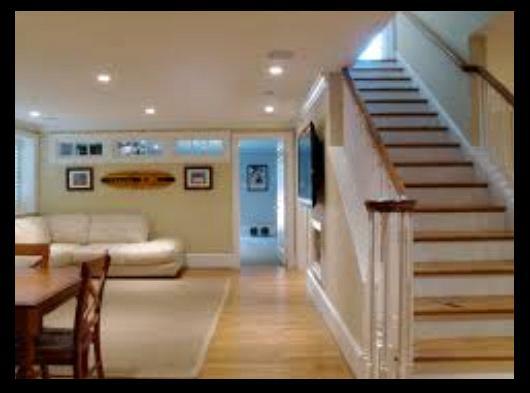 Once you have researched and decided upon the preliminary design for your basement, then you are wise to contact a home remodeling expert in Campbell to help you plan and create that basement paradise. If you are merely enhancing your previously finished basement to include any new rooms, as mentioned above, you would similarly want to consult with a contractor who specializes in home remodeling. Most likely your wall, ceiling, floor and lighting components are already in place, but they are about to be tweaked. There are many steps along the way before you get to the finished product i.e. the dream basement. The steps usually follow in this order until the final product takes shape. Along the way, your home remodeling contractor may seek out the expertise of other contractors or other members of his “team if he works for a company, such as an electrician, plumber or carpenter. Any partitioning or sectioning off of rooms, using drywall, is the first item on the agenda. Any additional or new window treatments will be constructed at this juncture as well. The rec rooms of yesteryear often had decorative windows wells built to hide the casement windows. They had Plexiglas opaque inserts which allowed minimal light to come into the basement. The basement window treatments these days are often cloaked in sheer curtains or heavy draperies. Lighting has come a long way from your original fluorescent fixtures and might include pendent, track or recessed lighting – perhaps even a very large Tiffany-inspired globe lamp on a chain that hangs over the pool table in your game room. Now that the fundamental design is in place, you are ready to pick and choose whatever assets you may use to enhance your basement to its full potential. 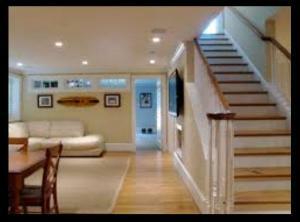 Why not consider consulting with a home remodeling expert soon and make your beautiful basement envy become a reality?